Petsec Energy advise that drilling operations on the Hebert Abstract Co. No. 1 well commenced on 27 November 2014. The well is being drilled on the Southwest ('SW') Holmwood prospect, located in Calcacieu Parish, Louisiana, approximately 6 miles southeast of the city of Lake Charles. Ft. Apache Energy, Inc., headquartered in Boerne Texas, is operator of the prospect. The well is currently drilling ahead at 5,910 feet. The well is being drilled as a vertical well to a proposed Total Depth ('TD') of 12,000 feet (3,659 meters) to test a fault closure on the east flank of the Lake Charles Field. The well is expected to take approximately 40 days to reach TD. The primary objective of the well is the Oligocene age Marg Tex sand, seen productive 1/2 mile to the northeast of the Hebert location at the Amoco #1 Todd well. 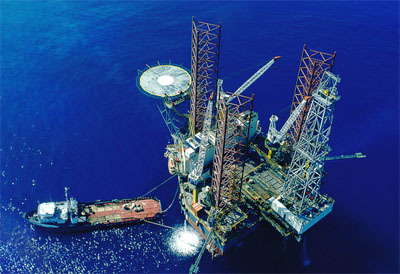 The Todd well produced gas and condensate from the objective Marg Tex interval at a peak flow rate of 10 million cubic feet of gas per day and 500 barrels of condensate per day.